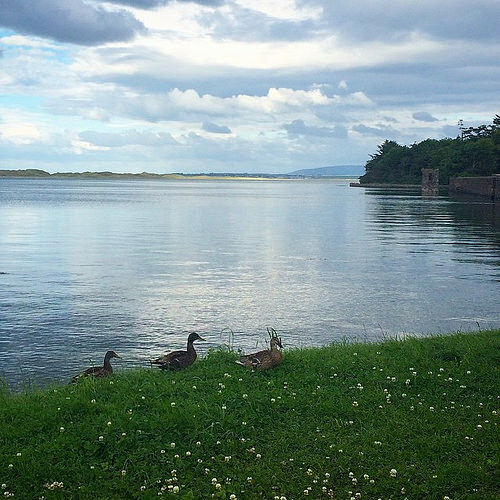 Knock, County Mayo, Ireland became the centre of attention 135 years ago when local people reported an apparition on the gable of the local parish church. Fifteen people, men women and children ranging in age from 5 to 75 claimed to have seen the apparition. On the evening of the apparition it was raining. However the people who witnessed the apparition stood in the rain for two hours reciting the rosary. Reports of the apparition spread quickly. Reporters from national and international newspapers visited Knock. Accounts of ‘strange occurrences in a small Irish village’ appeared in newspapers in places such as London and Chicago. Queen Victoria of England requested a report from her officials. The parish of Knock is part of the Archdiocese of Tuam. The Archbishop of the diocese, Most Rev. Dr. John MacHale, established an ecclesiastical commission of enquiry. The enquiry sought testimony from all the witnesses. The final verdict of the commission was that the evidence given was trustworthy. During the following years Knock became a place of pilgrimage initially for people from Ireland. In later years it has become an international religious site. 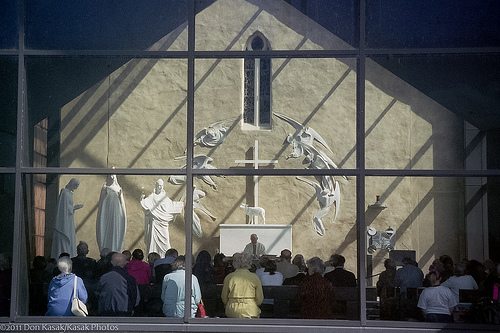 Today the village of Knock, which has a population of around 600 people, is visited by 1.5 million pilgrims annually. In 1979 Pope John Paul II, during a visit to Ireland, visited Knock. 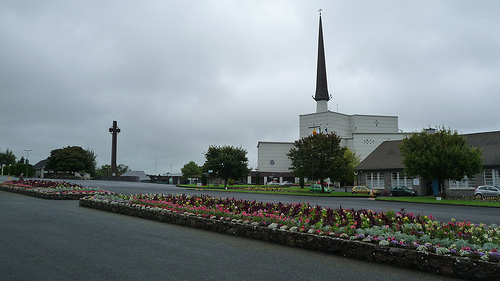 Knock Shrine was also visited by Mother Teresa of Calcutta in June of 1993. 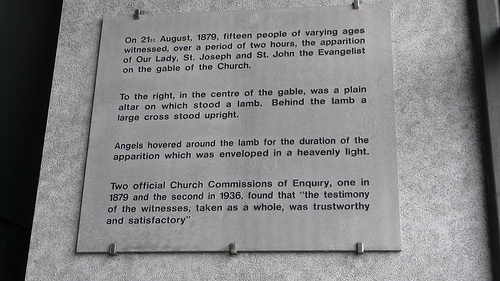 The apparition is reported to have occurred around 8 pm in 1879 On This Day. Rugby player Sean O’Brien was born in Tullow, County Carlow Ireland on February 14th 1987. He was educated at Tullow Community School and UCD (University College Dublin). Having played with Tullow Rugby Club and Irish Youths, O’Brien was awarded a Leinster Academy contract in 2005/06. He was a member of the Ireland Under-20 team which won the 2007 Grand Slam. Sean O’Brien played his first game for his home province, Leinster in the 2008 Celtic league against Cardiff Blues. In December of the same year he made his debut in the Heineken Cup against French side Castres. For his speed, powerful runs, ability to carry the ball, counter rucking and defensive tackling he has come to be known as the ‘Tullow Tank’. He was a member of the Leinster team which beat Northampton Saints to win the Heineken Cup in 2011. He continues to play for Leinster and signed a two year contract with the Province in January 2014. Sean O’Brien made his first appearance for the Ireland team in the Autumn Tests of 2009 when he came on as a substitute first against Fiji on November 21st. A week later he again came on as a substitute against South Africa. He made his first appearance in the Six Nations Championships in 2010, again coming on as a substitute against Italy. In the Six nation Championships of 2011 O’Brien started every game for Ireland and was awarded Man of the Match for his performance against Italy. 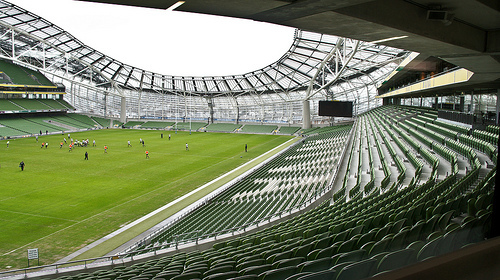 Sean Kevin O’Brien will captain Ireland against Scotland at the Aviva Stadium in Dublin in 2015 On This Day. Dr Robert Fleming unveiled a monument to his parents Sir Alexander and Lady Sarah Fleming in Kincon near Killala Co Mayo, Ireland in 2001. Alexander Fleming discovered penicillin in September 1928. At the unveiling Robert Fleming recalled the many visits the Fleming family made to Mayo when he was growing up. Alexander Fleming was born near Darvel, Ayrshire, Scotland in 1881. He attended Kilmarnock Academy, where John Boyd Orr another Nobel laureate was also educated. It is one of the few schools in the world to have two past pupils who are Nobel Laureates. At the age of thirteen Fleming moved to London where he lived with his older brother who was a doctor. He studied at what was then the Regent Street Polytechnic, now the University of Westminster later going on to work in the shipping industry. In 1903 he entered St Mary’s Hospital Medical School in Paddington, London and qualified as a doctor in 1906. He later worked as a lecturer at St Mary’s before joining the Army Medical Corps in 1914. He served in France during World War I and returned to work in St Mary’s in 1918. He was elected Professor of Bacteriology at the University of London in 1928. 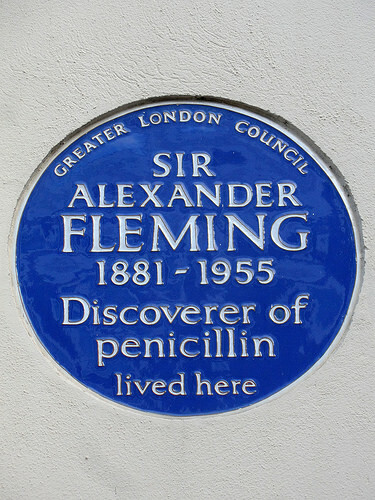 In 1945 Fleming was a co-recipient of the Nobel Prize in Physiology or Medicine for his work on the discovery of penicillin. Sarah McElroy was born in Leigherntain, Kilfian in 1881. After leaving school she went to Australia where she trained as a nurse. She returned to Ireland and practised in Dublin for a time before moving to London where she established her own Nursing Home. Alexander Fleming and Sarah McElroy met while they were both working in London. They were married in 1915 when Alexander, then a captain in the Medical Corps, was on leave from France. Their son, Robert, qualified as a doctor. Besides the Nobel Prize Fleming was the recipient of numerous awards during his lifetime. He was elected Fellow of the Royal Society in 1943 and was knighted by King George VI in 1944. He died at his home in London on March 11th 1955 at the age of 73. Alexander Fleming was born in the year 1881 On This Day. Courtesy Jarlath Judge, Wexford Photography.